Rickie sets up to the ball in perfect posture, bent forward from the hips keeping his spine nice and straight and flexed at the knees. His arms are hanging freely down from his shoulders and away from his legs. Rickie’s set up is very athletic and dynamic and the other thing I really like here is how the clubhead is hovering just above the ground, this helps to reduce the tension in the hands, arms and shoulders which is key for longer distance. His body alignment is perfectly square with the feet, knees, hips, arms and shoulders all parallel to the target line. As Rickie moves the club into the take away, notice how he does this in a one piece fashion, this is where the shoulders, arms, hands and club move away from the ball together. Hovering the club at the address promotes this and this really glues the rest of Rickie’s golf swing together. This is one thing that Rickie and his coach, Butch Harmon, have worked hard on. Rickie used to take the club away from the ball very closed and outside the target line and this forced Rickie to re route the club in the downswing which forced him to attack the ball too much from the inside causing a lot of inconsistency in his golf. This is a perfect check point of the backswing – When the club reaches parallel to the ground it should also be parallel to the target line. Notice how the toe of the club points up towards the sky – this is a square clubface. Rickie’s old position when reaching this point would see the clubface in a very closed position with the clubface pointing more down towards the ground and the shaft of the club would be pointing left of target line. Rickie shows a great example of an on plane golf swing. This is when on reaching the midway point of the backswing, the shaft of the club is pointing directly down at the target line. At the top of the backswimg Rickie has fully turned his upper body over a very balanced and stable lower body. Notice how Rickie has let his right leg straighten a little which is perfectly fine as this allows the hips to rotate in the backswing which is so important as this works hand in hand with the upper body rotation. If you try to keep the right knee to flexed it will block your rotation in the backswing causing all kinds of inconsistencies. Another thing I like about the top of Rickie’s backswing is how the clubface matches up to the left arm, this shows that the clubface is once again square to the arc of the swing. 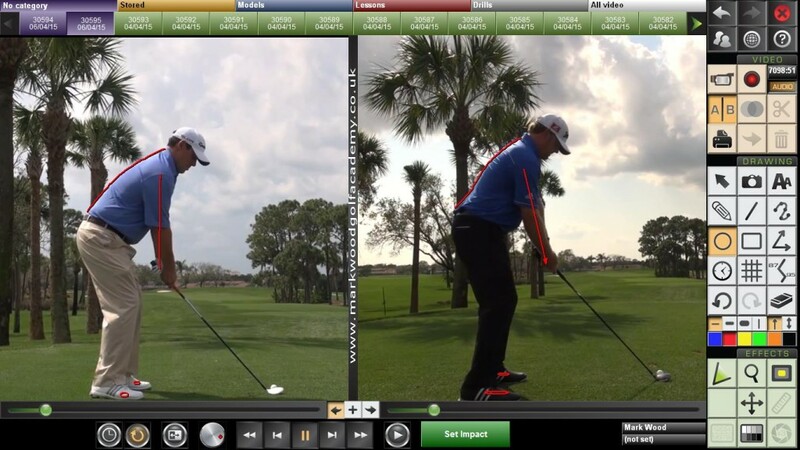 Rickie starts his downswing perfectly with the weight transferring across from his right side to his left. 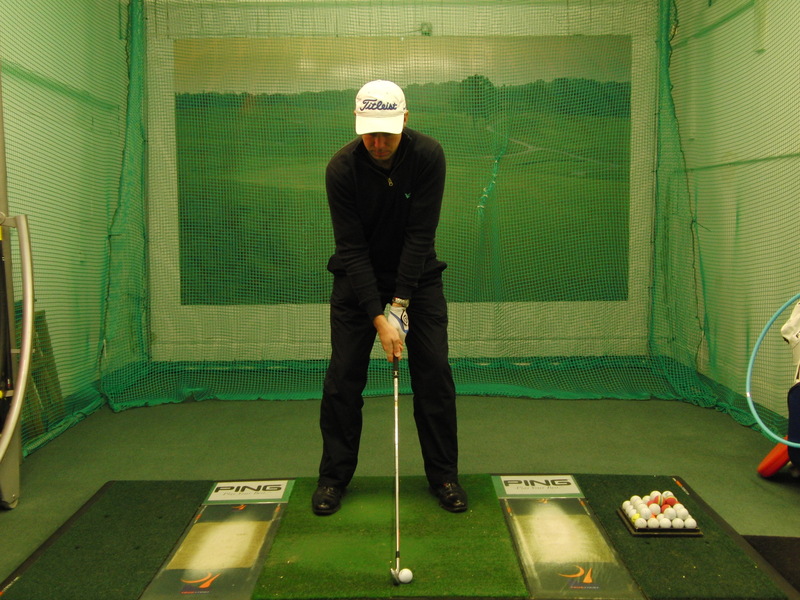 This is achieved by the knees and hips moving across towards the target. Notice how Rickie keeps his back facing the target for as long as possible as this keeps the club moving down on plane. Rickie is still unwinding from the ground up and is delaying the upper body from opening up to early. The swing is on plane, the shaft of the club once again points at the target line. This leads to a great swing path through the hitting zone and a lot of power. 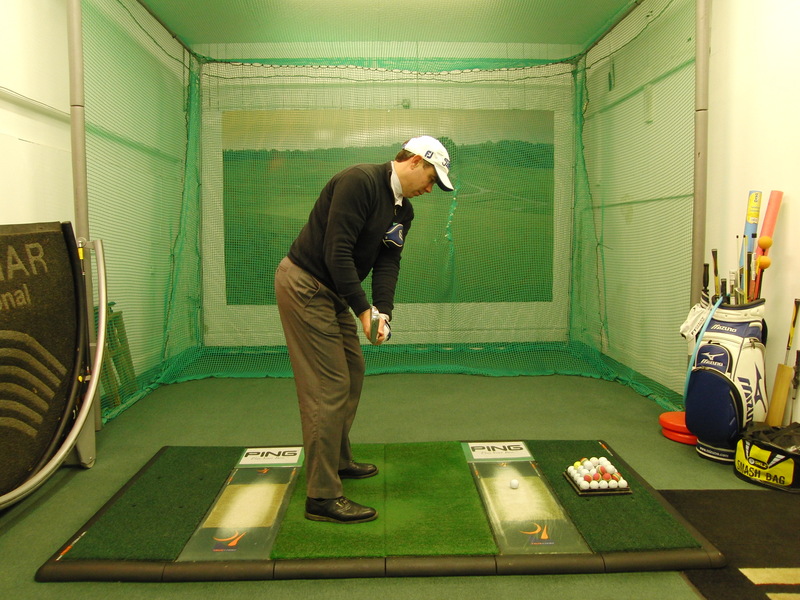 The club is arcing in towards the golf ball really well, the body is still unwinding via the hips and legs and this chain reaction creates a lot of speed in the upper body which produces a ton of clubhead speed and therefore explosive distance. Through impact Rickie’s arms are fully extended which releases the club in a free wheeling motion through the ball, this is something that should naturally happen. A lot of golfers I see collapse there arms through impact which robs them of clubhead speed and therefore distance. Perfectly balanced in his finish position, this is a good trait among all the good players on tour these days and something that many amateurs could learn from. What a great finish to the Shell Houston Open, it was unlucky for Jordan Speith but what a great performance by both Wagner and Holmes. At one point I thought that J B Holmes was on for a 59 especially after a superb front nine of 29!! Wagner so great determination with holing that 20ft putt on the last to get into the play off. Lets take a look at what we can learn from both players. At set up both players set up well but quite different in their posture. Holmes (right) sets up with a very straight back and arms extended away from the body and his weight looks set more into the center of his feet. Wagner (left) has a slightly rounded back and his arms hang straight down from his shoulders, his weight most certainly looks more settled into the balls of his feet. Both players swing the club away very differently from the ball, Wagner (left) has a great one piece take away and keeps the clubhead out in front of him. Holmes swings back with the club moving very much behind him, alot more on the inside. He also stands up a little just before he swings back, you can see the difference in his knee flex between the 2 photos above. A key check point is when the club reaches this position in the backswing, the club should ideally be parallel to the ground and parallel to the target line. As both players reach the top of the backswing they are both in very good strong positions, but once again very different. Wagner has his left arm more across the his shoulder plane and Holmes is much more upright. It would be fair to say that Wagner is much more of a rounded, flatter rotary player and Holmes has a much more upright action. Both players have a good full shoulder turn which is something that a lot of golfers should take on board, complete your shoulder turn in the back swing. As both players swing down into the “delivery position” they get into a great position to deliver the club into the ball. One thing that we could all learn here is by the time the club gets back parallel to the ground it should also be parallel to the target line with the clubhead just sat in behind your hands. Both players demonstrate this beautifully. The hips should be slightly open with a good proportion of your weight on the left side, your weight moves in the direction your swinging the golf club. 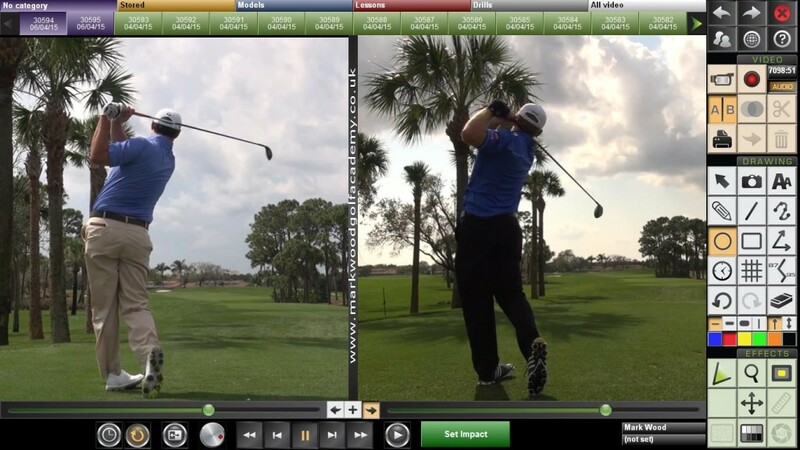 Another key thing here is that both players are still holding their original posture as they turn towards impact. Both players in a great impact position, hips fully rotating, right heel slightly up, shoulders parallel to the target line with the right arm slightly underneath the left arm. Both players finish in a great balanced position, fully rotated through and holding that finish. I am always being asked what initiates the backswing. I believe and teach that the first move away from the ball is more a upper body movement than the lower body movement. If you think of your shoulders, arms and hands as a unit, these move away from the ball together. You need to feel that the lower body resists, a good way to feel this is for you to keep your belt buckle as quite as possible during the early part of the takeaway. A great check point in the takeaway is when the shaft of the club gets parallel to the ground, and it is a major important part of your swing, other than impact. 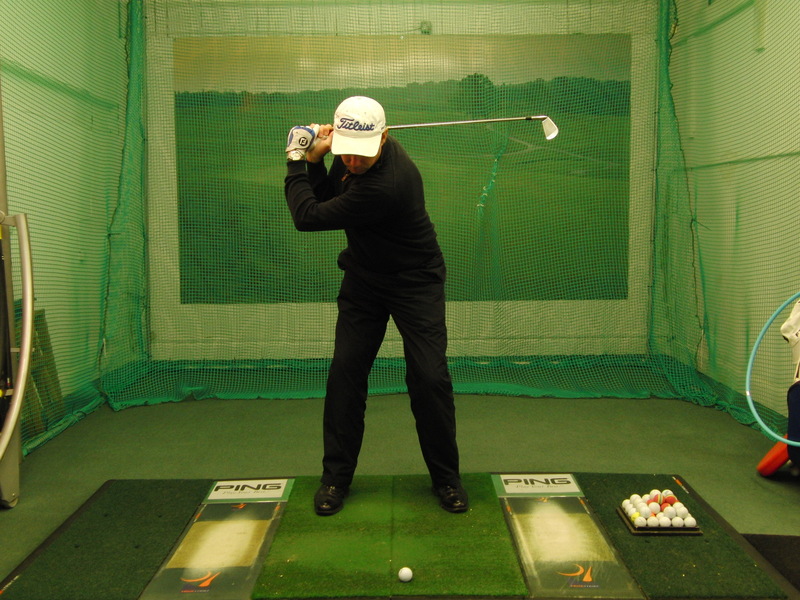 I know how important it is to make a perfect set up as this gives you a great chance in making a good solid swing. If you get any parts of the set up wrong you will have to make compensations in the golf swing. 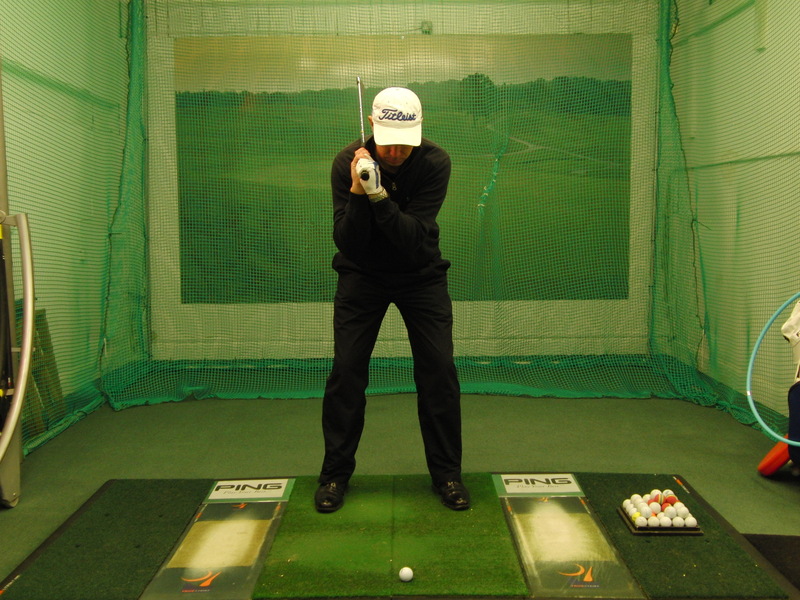 The Perfect takeaway is a must because if you get the first part of the swing wrong you are going to have to compensate else where in the swing, not a great recipe for consistency in ball striking!! Many times when I see a golfer with a faulty takeaway, they generally have major problems in there short irons, pitching and chipping. As it has been said many times before a pitching swing is a mini version of the full swing, so it becomes very important to get the takeaway correct. To get the club moving away from the ball correctly, you need to swing the club back along the angle of the shaft. Not inside it or outside it but on it until the club head covers your hands and the shaft is parallel to the ground. to the ground and target line. the takeaway separating from the chest. Drills to practise to get the takeaway right every time. Place a headcover or glove under your left arm. the ground this will keep you “connected” and as one unit. To stop the right wrist from hinging back on itself so early place a ball down 18 inches directly behind the ball you are going to strike. 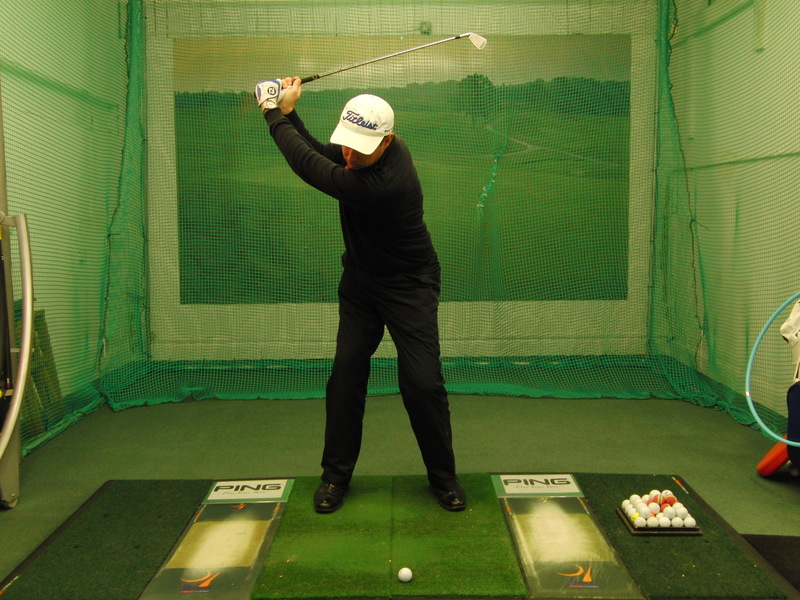 From here practise keeping the clubhead moving directly over the behind ball. Being able to get into a good position at the top of your backswing is important as it gives you a better chance to make the correct downswing from the “inside”. A great drill to help you feel what a good top of the backswing position feels like is to do this simple exercise. Take your normal regular set up to the ball, just as you would if you were about to hit it (photo 1). Then whilst you maintain your posture and body positions, lift the club up and rest it on your right shoulder next to your neck (photo 2). Your arms will be flexed at the elbow. From here make a full shoulder and boy turn away from the target, just like you would do in a normal full backswing (photo 3). When you have completed your body turn extend your arms and hands up and away from your right ear until your left arm comfortably straightens (photo 4). You are now feeling what a good position feels like at the top of the backswing. Practise this often, in front of a mirror, at the range and you can even hit balls like it. It won’t take long for you to establish this as your normal go to position at the top of the backswing.